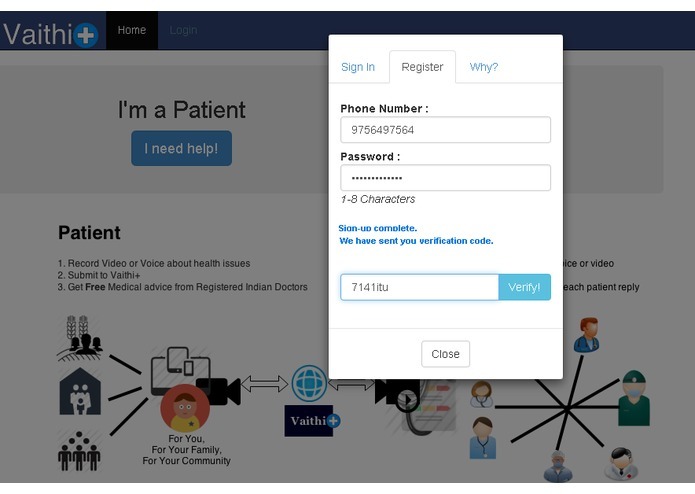 VaithiPlus – is a mHealth platform used to connect people who have health queries and doctors who volunteer to help people. 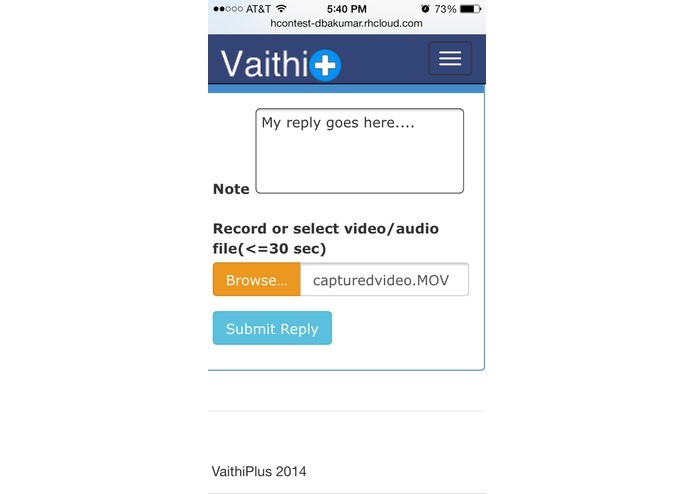 VaithiPlus is designed to clearly present a easy and convenient way for people in need to get in touch with doctors. 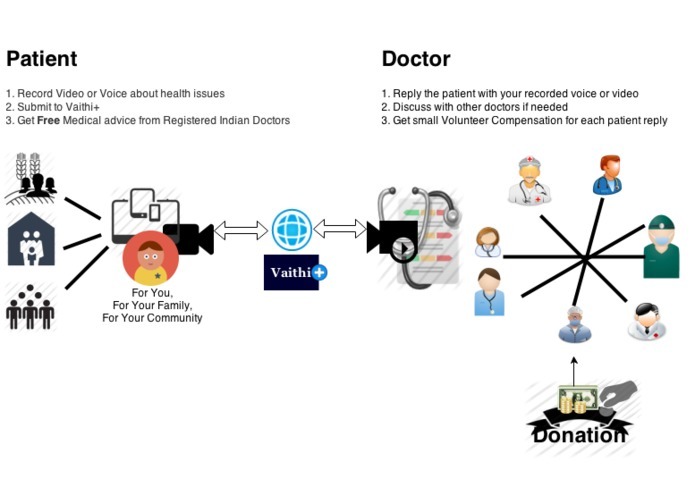 This is a simple, efficient and low cost solution especially targeted for Indian rural people who really struggle to find health care because of financial blockades. 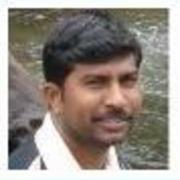 A chief concern in the design of the VaithiPlus system is ease of accessibility. 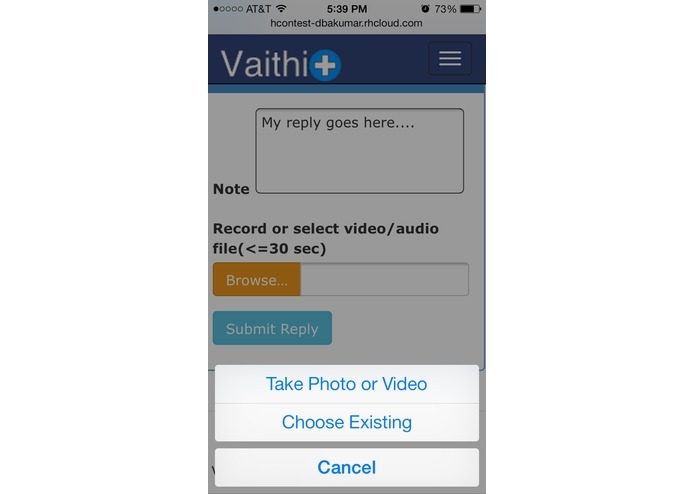 The VaithiPlus system achieves a high degree of accessibility by vastly simplifying the traditional Healthcare system through the use of smart phones as an intuitive user input abstraction layer. 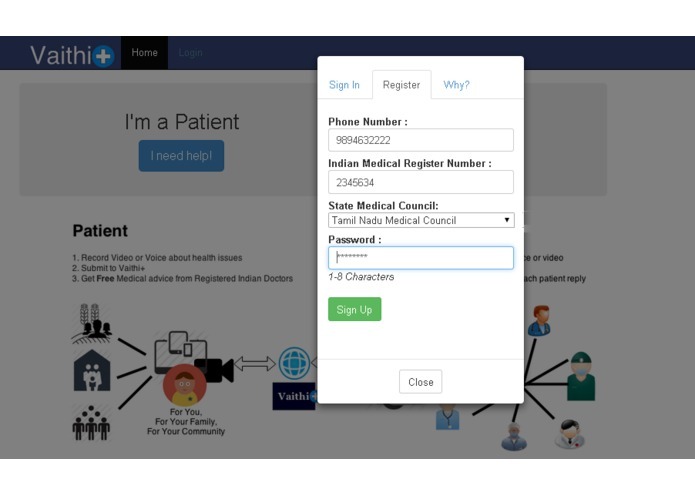 It is designed to connect people with doctors who speak their language without any boundaries. 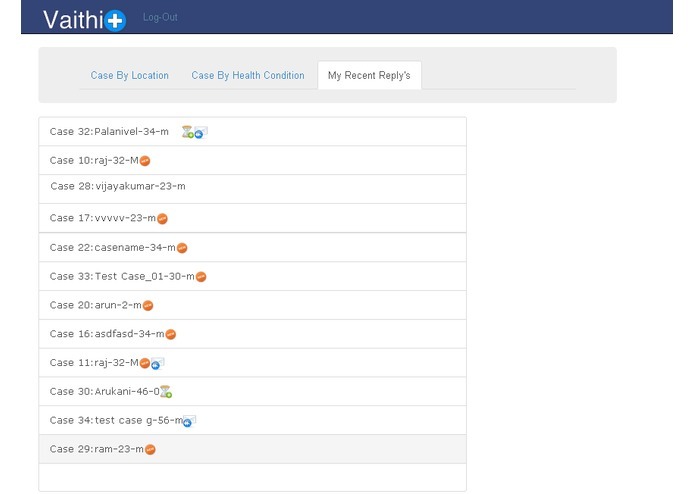 The following communication work flows are implemented to make this happen with simple clicks or touch. 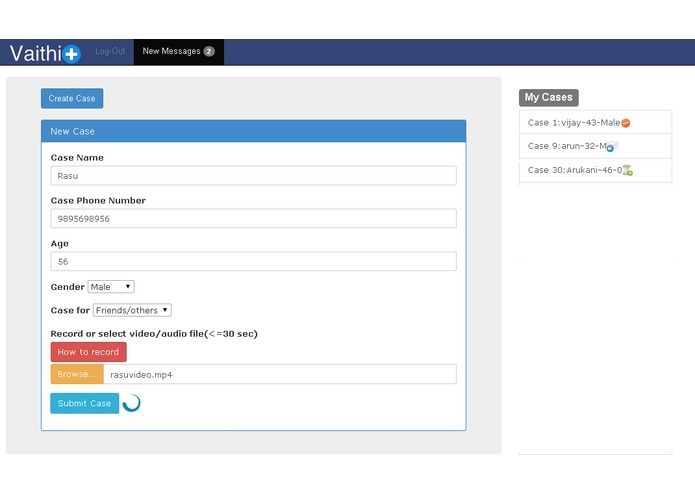 There is no waiting time or phone call queue, just file a case through any of internet enabled device and the patient will be notified via an SMS when a doctor replies the case file. 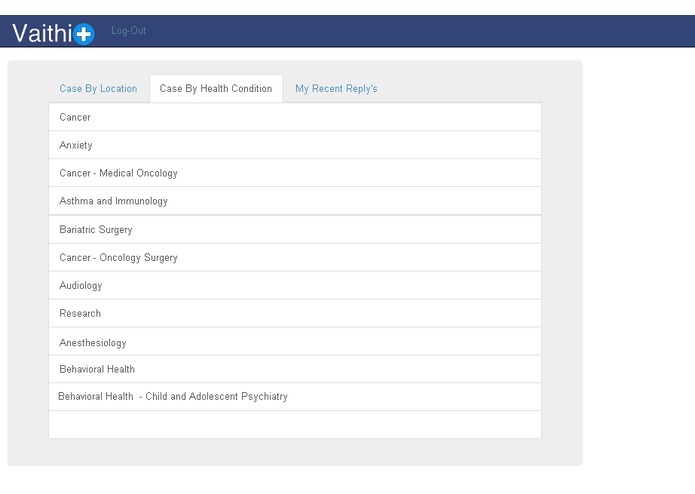 Doctor Approval Board: The board will approve the doctors who signup for their volunteer service after the thorough verification process. 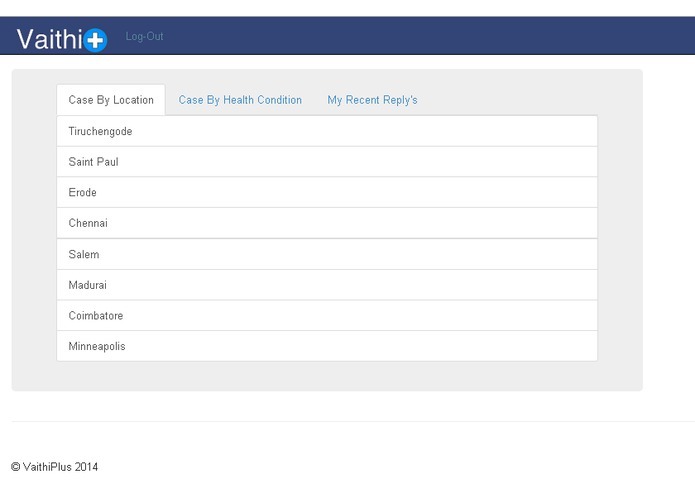 The donation collected from industries, non-profits organization & public will shared with doctor for their volunteer service based on case replies. 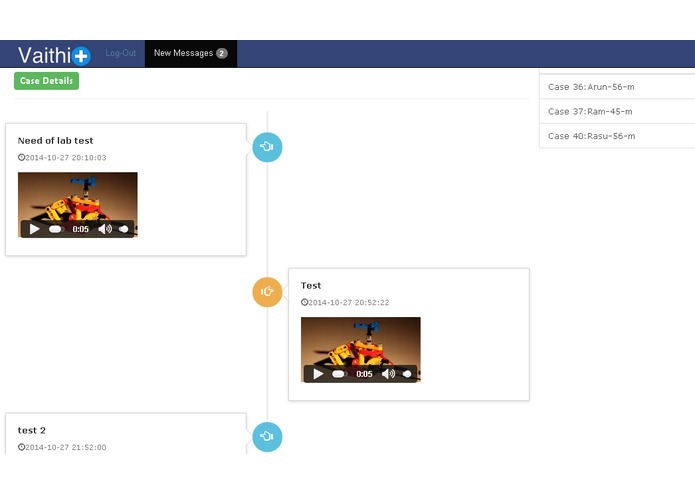 Technical Details: This application is built completely on a open source platform and which will convert HTML 5 supported video (webm/mp4) format from any audio/video file upload. This solution works with desktop, mac, tablet & mobile devices.